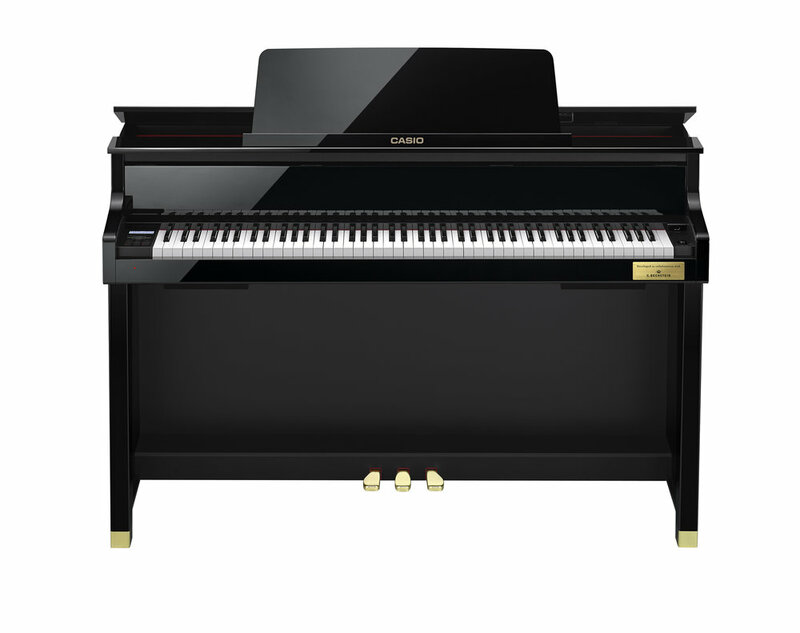 The GP-500 Grand Hybrid captures every nuance of a concert grand piano in an award-winning, stylish design. 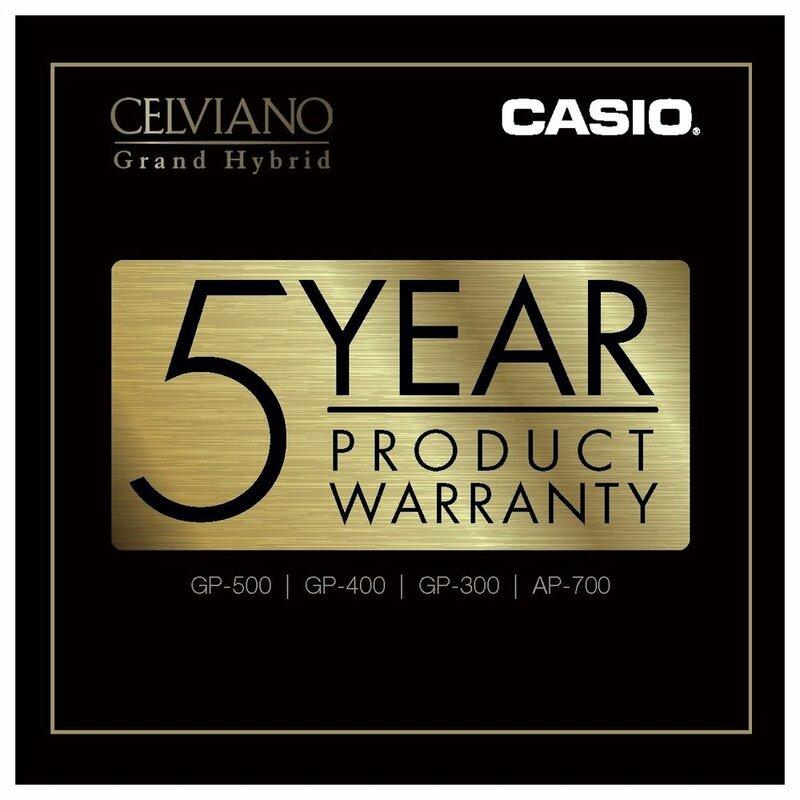 Thanks to its combination of digital innovation and time-honoured principles of acoustic piano manufacture, this instrument is recognised as the pinnacle of digital piano production. 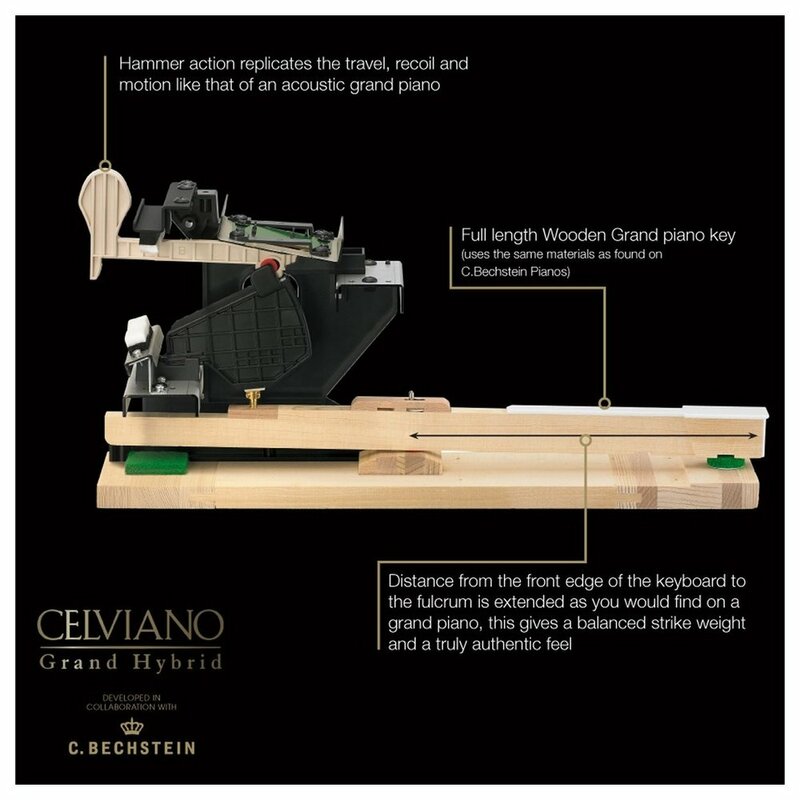 At the heart of the GP-500 is the revolutionary Natural Grand Hammer Action, combining full-length wooden keys (manufactured using the same Austrian spruce as that used by C. Bechstein) with moving hammers to provide an authenticity of touch that is far beyond any other digital piano. 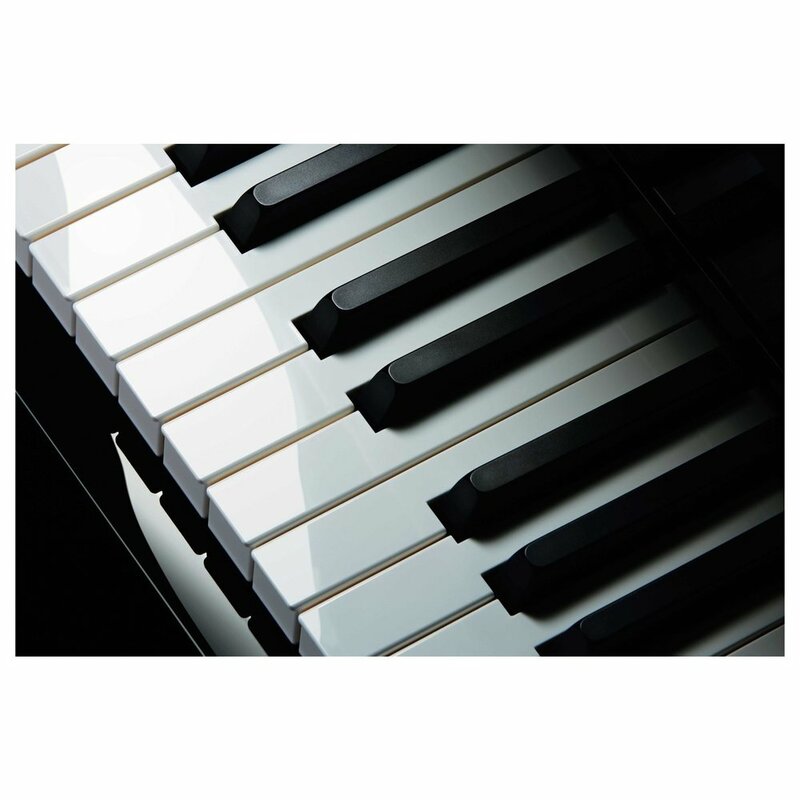 The GP-500 has added duplex scaling resonance, simulating the brilliance and tonal character of the largest concert grand pianos. Action noise can also be mixed with the piano, providing those extra elements of nuance that breathe life into piano music. The unique ‘Concert Play’ feature gives you command of an entire symphony orchestra, with an expandable library of favourite classical pieces to play along to. From elementary pieces to extracts of famous concertos, there is something for everyone. 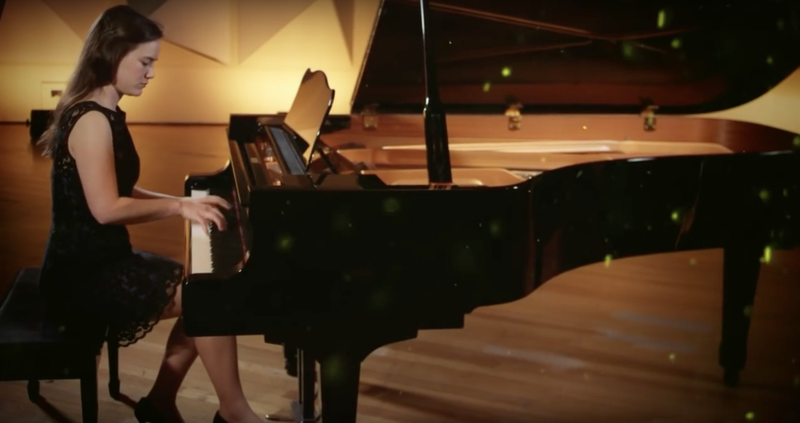 Imagine having a wealth of historical pianos at your fingertips: perhaps those used by the great composers such as Chopin, Beethoven or Debussy. Scene Settings let you configure the Grand Hybrid to match the characteristics of these famous instruments, or design your own. Duplex Scaling Resonance with Key Action Noise.